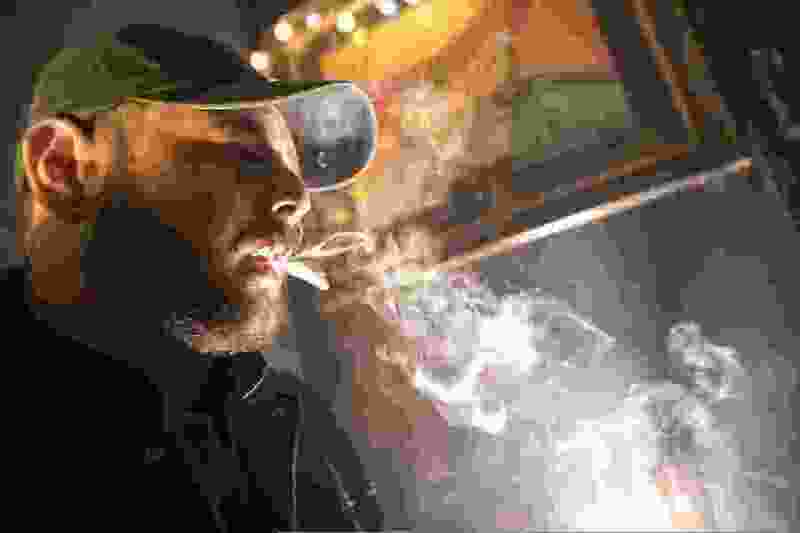 (Mary Altaffer | The Associated Press) In this Friday, March 29, 2019 photo, a man smokes marijuana at a Spleef NYC canna-cocktail party in New York. As more states make it legal to smoke marijuana, some government officials, researchers and others worry what that might mean for one of the country's biggest public health successes: curbing cigarette smoking. New York • As more states make it legal to smoke marijuana, some government officials, researchers and others worry what that might mean for one of the country’s biggest public health successes : curbing cigarette smoking.